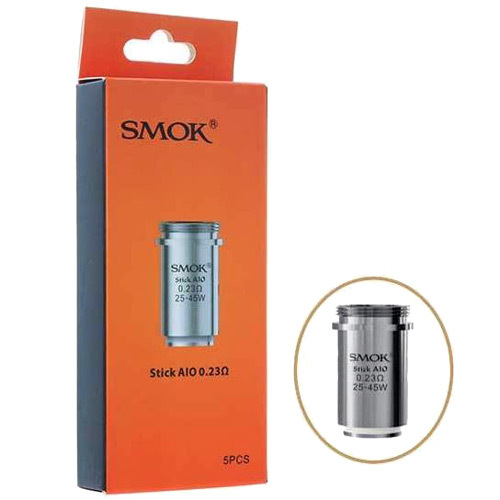 The SMOK Stick AIO starter kit is an an all in one, compact and powerful mini electronic cigarettes. Its light weight gives it an exceptionally attractive convenience factor and with its modern sleek appearance, the SMOK AIO starter kit is one ecig kit you might not want to pass up. Surprisingly the SMOK starter kit its extremely well priced and is the perfect choice for experienced vapors and beginners alike, with its totally redesigned simple touch technology its specifically engineered with only one button making this device super simple to operate for any type of vapor. This all in one vape kit manufactured by SMOKTECH is guaranteed to not only turn heads, but also provide a high quality vaping experience at an affordable price e convenient and ergonomic design. The Smok Stick AIO packs 1600mAh of power into a handy, compact device. But what it may lack in size it more than makes up for in the pure vaping pleasure it provides. Experience it for yourself. Super small, great to carry when my regular mod is too bulky to shove into skinny jeans. I did a lot of research before purchasing my Smok Stick AIO. 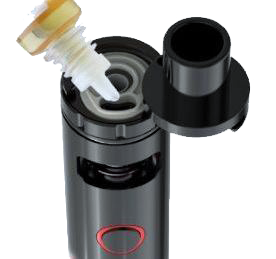 When I received it, the drip tip was faulty and would splatter the hot liquid into my mouth and throat. Central Vapors wanted me to go through the returns process but I did not want to wait that long and be out return shipping, so I went to a local vape shop and got a new drip tip. Works incredibly well, love the flavor, easy to use. LOVE LOVE LOVE this device. i couldn't give it a 5 star due to the faulty drip tip. Product doesn't work. I have purchased this product from other dealers and never had an issue. Put it together and charged it AND NOTHING¡!!!! This is a really great smoker. It produces a full amount of smoke and is easy to use and handle. Powerful device. Great flavor, great vapor. Could be easier to fill and could have a larger window. Long battery life and coils last a while. Never leaks. Good purchase. Great price, great product, great vaping & delivered sooner than expected. Works well and the most reliable and durable mod under $25 in my opinion. The SMOK brand ecigs like this AIO are always great quality.